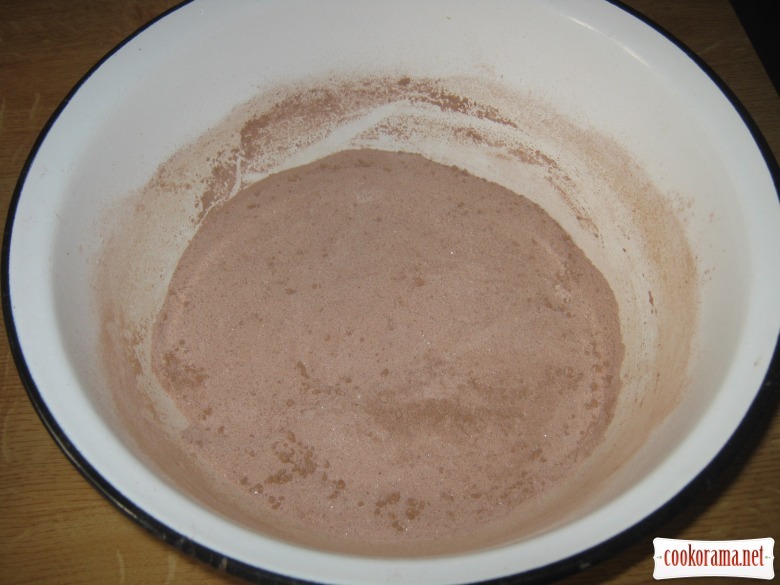 Mix flour, sugar, vanilla sugar, baking powder, soda, cocoa, cinnamon. 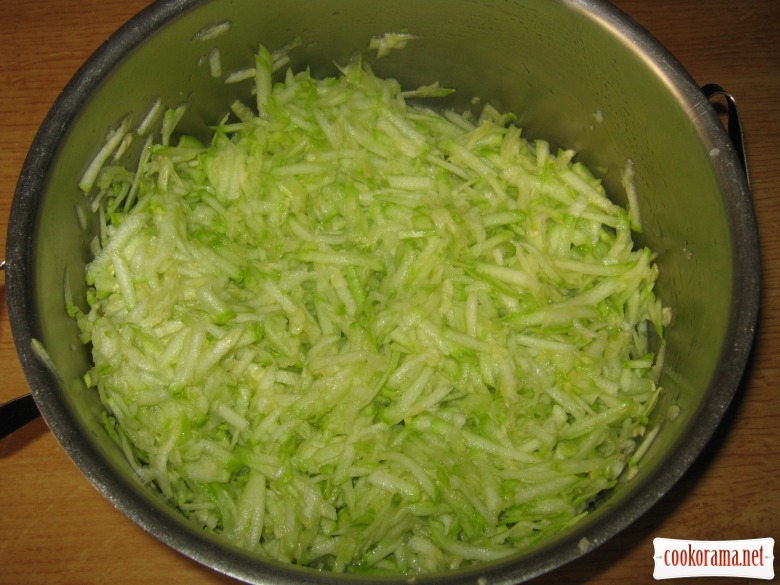 Grate courgettes, salt it, leave for 5-10 min and squeeze. 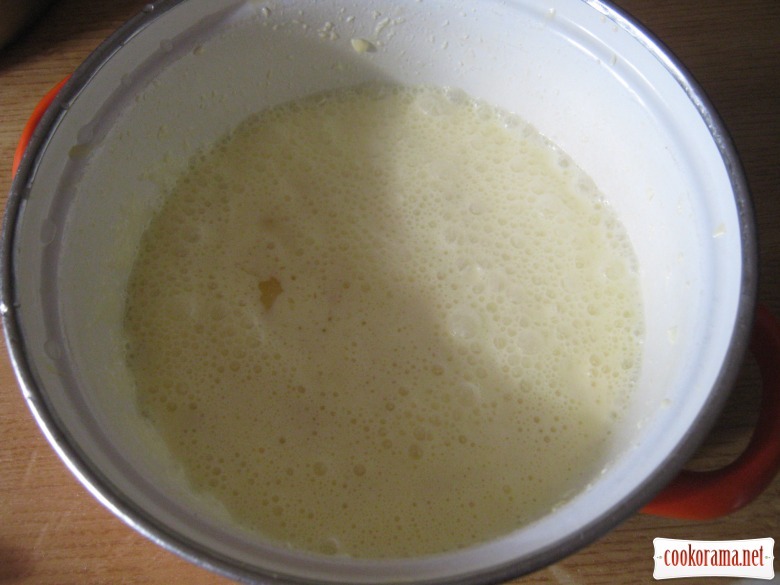 Mix eggs with sour cream and soft dough and add oil. 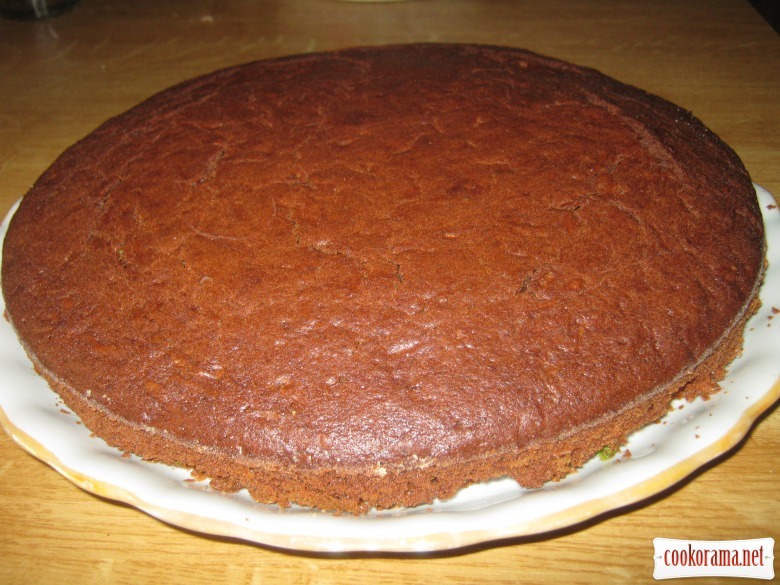 Stir all, add boiled coffee, stir and pour in greased with butter and sprinkled with flour split form. 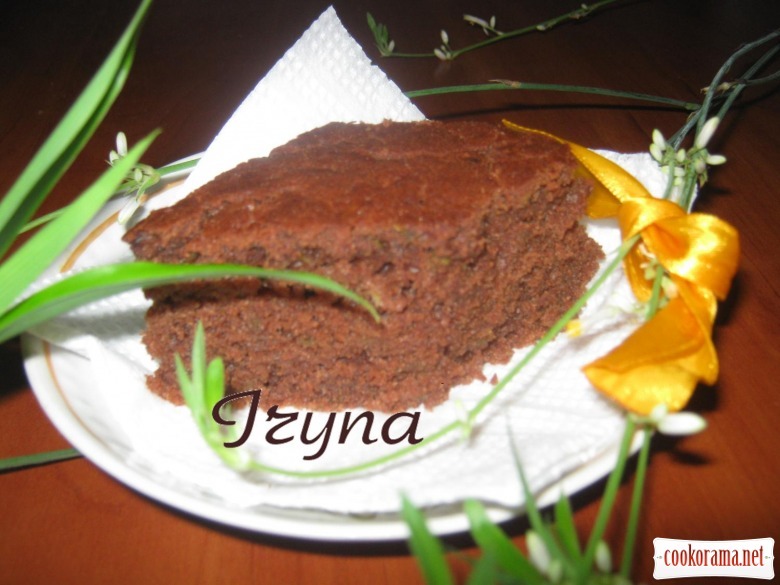 Bake at 200℃ for 30-40 min (check the readiness with toothpick). 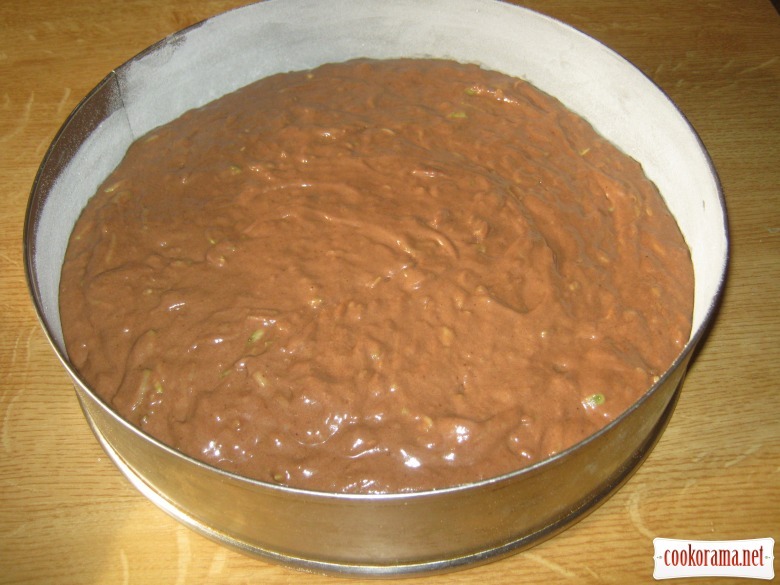 Ready cake can be poured with melted chocolate and sprinkled with chopped nuts. 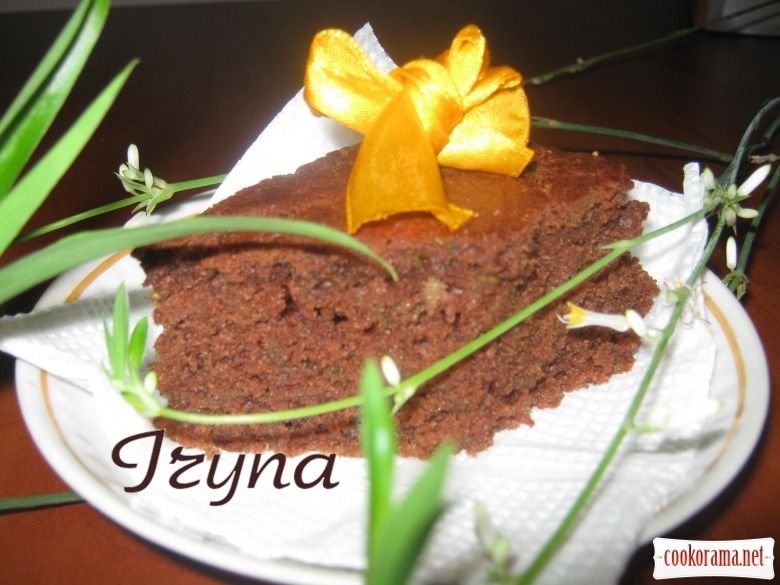 Top of recipe "Courgette-chocolate cake"